With countries destroying their GMO crops, scientists showing the facts, and individuals voicing their discontent on the matter, there is a large and growing contingent across countries that are taking action to preserve the integrity of our food supply. China is the latest nation to take a stand against GMO crops. China recently suspended the distribution of genetically modified rice within its commercial food supplies. The dangers of GMO foods are so great that they are still not — and may never be — fully assessable. With a large number of documented negative effects on its consumers, GMO foods are a highly dangerous threat to individual health alone. If this weren’t enough, genetically engineered crops actually threaten the integrity of the food supply altogether by devastating the environment with powerful superweeds and mutant bugs. The nature of genetic engineering is so volatile that unless properly handled, the integrity of the entire world food supply could be ruined. Seems like the world is starting to catch on. "NaturalNews) A massive victory against Monsanto and genetically engineered seeds has been achieved in the United Kingdom today. Monsanto has announced a total withdrawal from the UK, shuttering its Cambridge-based wheat production operation. UK newspaper Daily Mail was instrumental in promoting opposition against Monsanto through its "Frankenstein Foods" educational campaign (http://www.dailymail.co.uk/news/article-199884/GM-giant-quits-Britain...). Bayer CropScience has also cancelled its planned GMO crop trials in the UK, signaling a near total collapse of agricultural imperialism in the UK." The defeat of Monsanto and all the other merchants of death who peddle poisonous seeds is, of course, a powerfully positive sign for those who are trying to protect life in the United States. We know that GMOs are death for agriculture, death for bird populations, death for honey bee pollinators, and death for the soils. We know that Monsanto is the most evil corporation on the planet (http://www.naturalnews.com/030967_Monsanto_evil.html), willing to destroy the future of life on our planet in exchange for a quarterly profit. We also know that the public is joining the fight against GMOs. 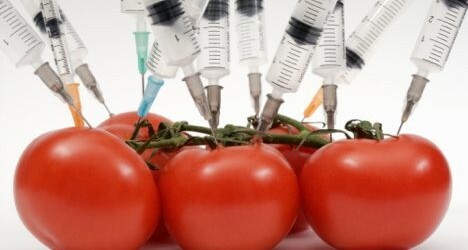 A massive effort is already underway to mandate the labeling of GMOs on foods sold in California (http://www.naturalnews.com/033763_GMOs_California_ballot_initiative.h...). A similar effort has begun in Washington state. Many other states are considering similar legislation. Join the fight to outlaw GMOs in North America! Read www.NaturalNews.com and share our stories, link to our website, tweet our breaking news. • Avoid buying non-organic corn, soy, canola and cotton products, as they are almost universally contaminated with GMOs. • Join the upcoming massive GMO protest in Hawaii! • Vote with your dollars by purchasing food items that are verified as containing no GMOs! JUST SAY NO TO GMO!!! The Independent newspaper reports that there is a notice in the cafeteria of the Monsanto pharmaceutical factory is High Wycombe, Buckinghamshire, advising customers "as far as practicable, GM soya and maize (has been removed) from all food products served in our restaurant. We have taken the steps to ensure that you, the customer, can feel confident in the food we serve." Very telling, Breezy. Very telling! This is a powerful testimony to the influence residents can have on their local regulations when they stand together for a cause; you, too, can work toward enacting such a phase out in your area as well. "New Delhi/Bengaluru, 6 Feb. 2012: Ahead of a regulators’ meeting on February 8th 2012, and reacting to the confirmed reports of Monsanto’s illegal planting of Herbicide Tolerant (HT) maize in its GM maize trial, the Coalition for a GM-Free India demanded that Monsanto be blacklisted immediately. The violation was revealed in a response of the Genetic Engineering Appraisal Committee to an RTI application. “This agri-business corporation has been caught violating the law and norms repeatedly. The Genetic Engineering Appraisal Committee (GEAC) has also been caught failing in its duties. GEAC, in spite of violations brought to its notice earlier also, has never taken up any deterrent and penal action against this MNC”, said the Coalition in a press statement issued in Delhi and a Press Conference held in Bengaluru. Monsanto’s illegal planting was known to the regulators (as the information was obtained through an RTI response from GEAC), but they chose not to look into the matter pro-actively and the regulators were in effect protecting Monsanto, alleged the Coalition." "In a major victory for public health and what will hopefully lead to other nations taking action, a French court decided today that GMO crops monster Monsanto is guilty of chemically poisoning a French farmer. The grain grower, Paul Francois, says he developed neurological problems such as memory loss and headaches after being exposed to Monsanto’s Lasso weedkiller back in 2004. The monumental case paves the way for legal action against Monsanto’s Roundup and other harmful herbicides and pesticides made by other manufacturers." "In a ruling given by a court in Lyon (southeast France), Francois says that Monsanto failed to provide proper warnings on the product label. The court ordered an expert opinion to determine the sum of the damages, and to verify the link between Lasso and the reported illnesses. The case is extremely important, as previous legal action taken against Monsanto by farmers has failed due to the challenge of properly linking pesticide exposure with the experienced side effects." "Those “day-to-day” implementations seem to be targeted against the very type of people who pose threats to the anti-organic nature of Taylor’s former client. The report continues,"
"Not surprisingly, the person responsible for prioritizing armed raids on small dairies over holding agribusiness accountable is a former Monsanto attorney and chief super lobbyist. . . ."
"Taylor has been leading a departmental crusade against small raw milk dairy producers. So far several dairy farmers have been subject to a year-long undercover sting operation from the East Coast to California." Time the people did something! The way the pre-elections are going i believe 70% of the USA citizens are still asleep. Only thing i can say to those awake is ... GET OUT. "Around 300,000 organic farmers think that Monsanto, the biotech giant known for genetically modifying Mother Nature’s handwork for profit and pushing over the little guys all the while, is pretty seedy. Judge Naomi Buchwald of the Southern District Court of New York says she will have a decision on March 31 in regards to whether a lawsuit waged against the mega-corporation Monsanto should make it to trial." "The story of Anniston is a cautionary tale. Monsanto's internal documents, many of which are being posted here for the first time for the world to finally see, uncover a shocking story of corporate deception and dangerous secrets. As The Washington Post revealed [Monsanto Hid Decades of Pollution" (front page, Jan. 1, 2002) and "In Dirt, Water and Hogs, Town Got Its Fill of PCBs" (Jan. 1, 2002). ], Monsanto hid its advanced knowledge of the health effects and vast PCB pollution problems from the public and - most importantly - from its closest neighbors, the people of Anniston. While the documents provide a glimpse into Monsanto's corporate culture, a spokesperson for a Monsanto spin-off corporation, Solutia, has repeatedly asserted that the company is "really pretty proud of what we did" and that Monsanto "did what any company would do, even today." The Monsanto-Solutia public relations propaganda being used to counter these revelations is replete with assertions that press coverage has been unfair, based on comments from its documents "taken out of context." "Now, the world can read the story of Anniston, in context, and in Monsanto's own words." If Monsanto hid what it knew about its toxic pollution for decades, what is the company hiding from the public now? This question seems particularly important to us as this powerful company asks the world to trust it with a worldwide, high-stakes gamble with the environmental and human health consequences of its genetically modified foods. http://www.chemicalindustryarchives.com/dirtysecrets/annistonindepth/indepth.pdf <<<<advise to read this..good grief..it may have happened years ago...but it shows the blatant disregard for life of any kind by MONSANTO.. I intend to keep adding to this thread. I have been down the Monsanto rabbit hole today...and sit here shaking my head at what I find..The links I find are from all years in the past...I will post titles, and the a link to the article..
Roundup Weedkiller: Is This Monsanto's New 'Agent Orange'? So folks it is pretty obvious that Monsanto is world wide, and causing problems for insects, animals and humans and possibly for birds and reptiles and frogs too...The articles above come from all parts of the globe...and according to some of the articles above, Monsanto's knowledge of the harm they do, goes all the way back to the early 1900's. Thanks to various and sundry posters on other sites..where I scavenged a lot of the links from..
Foxgate 08 - Whistle Blowers From Fox News about Monsanto - FoxNews wants this banned ! "If the natural health community really wants to get serious about hitting evil corporations like Monsanto where it hurts, then it is time to start boycotting the companies that support, invest in, or otherwise have a relationship with Monsanto and its partner companies. And this includes dumping mutual fund and investment companies that hold a significant amount of shares in Monsanto." "Monsanto is a publicly-traded company, which means members of the public, including other large companies and investment firms, can buy shares in said company for investment purposes. This, of course, is one of the primary ways publicly-traded companies are able to raise needed funds and capital to keep on doing business." "According to Yahoo! Finance, 83 percent of Monsanto’s shares are held by institutional and mutual fund owners. The top ten institutional holders and mutual fund holders in Monsanto as of the writing of this article are as follows:"
The following is a 4 part series, written in 2010, and it covers everything from the Rockefellers, to Monsanto, the UN...etc. "The purpose of this article is to give a brief outline of how the elites, and the Rockefellers in particular, are using food as a weapon. Since the Rockefeller family came to power (especially after gaining a monopoly in 1914 with Standard Oil) they have manipulated our government into ruining our financial system by way of the Federal Reserve, energy through oil dependency and food with GMOs (Genetically Engineered Organisms). The intention is to rob us blind and kill us. 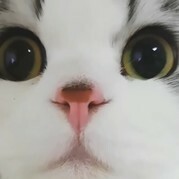 It's time to wake up." "The official name of this program is Agenda 21 Sustainable Development. It the overarching blueprint for depopulation and total control over America and the rest of the world. There is no question that Americans are targeted for depopulation: GMO (Genetically Modified Organism) food has saturated American farmlands. GMOs are dangerous and the proliferation of corn crops (used as sweetener, animal feed, processed food, etc) in America is shortening our life spans. (1) Our water is polluted, containing over 60,000 chemicals, most of which have never been tested for safety. (2) Our air is toxic, and the US is one of the most targeted areas for chemtrails. (3) This is just the tip of the iceberg, the things we know about. " "A monopoly is exclusive control of a commodity or service that makes it possible to manipulate prices. This is accomplished through governmental regulations used to enforce the monopoly. The way to break a monopoly is to remove those laws. This is simple, but not easy in the case of Monsanto, because the roots extend to international, federal, state, and local government regulations. Monopoly owners corner a market by taking control of the resource AND preventing others from using the resource." "The famous robber baron JD Rockefeller refined this method of monopolization with Standard Oil; he created a cartel (an agreement between companies to avoid competition) with the companies he could not buy or force out of business through extraordinarily corrupt business practices. Competition creates a free market; JD Rockefeller is famous for saying, "Competition is a sin." Of course, the Rockefellers have an enormous stake in biotechnology and the Rockefeller Foundation funded the biology centers and research that led to the creation of GMOs; F. William Engdahl's book, "Seeds of Destruction", is highly recommended for the complete details." "Most people think that the United Nations is a noble enterprise and they don't understand the history and malignant character of the UN. Christina Aguilera, Drew Barrymore and Sean Penn are probably unaware, even though they are UN Ambassadors to the World Food Program (WFP), that the intent of the UN is to implement one world government. The UN WFP, which spreads GMOs in poor countries, is just one tool used for advancing the goals of UN Agenda 21, the overarching blueprint for depopulation and total control." "The UN grew out of the League of Nations, which withered after Woodrow Wilson ( Edward House's puppet), failed to convince Congress that international treaties and entangling alliances were good for America. Later, Rockefeller was able to advance the globalists' cause and even donated 18 acres of land for the UN headquarters, located in New York. The Rockefellers have conceived and funded most of the destructive UN programs." "The Food & Depopulation series of articles has been written for people who think that conspiracies are mere theories, that the American government is working in our best interest and that the United Nations is benevolent. Nothing could be further from the truth; irrefutable proof of this is explained in the previous three articles. Sharing the truth about food is an exceptionally effective way to wake people up because all people have a personal relationship with food every day. Here are the important points to remember:"
1. The US Department of Agriculture holds a patent on the 'Terminator' gene (the seed goes sterile after the first harvest) which has the potential to destroy all plant life on the planet. This patent is co-owned by Monsanto. 2. The US Supreme Court has studiously avoided trying any anti-GMO cases, despite the obvious health dangers to people and contamination of farms by cross pollination. On June 21, 2010 the Supreme Court lifted the nationwide ban growing GMO alfalfa due to its potential to contaminate other farms, pending a Environmental Impact Study (EIS) performed by the US Department of Agriculture. We predicted 2 weeks ago that the Supreme Court justices would rule in favor of Monsanto as they collect their paychecks from the federal government. If sanity had prevailed and the ban on polluting GMOs was upheld, the result would have put the USDA's Terminator gene patent in peril, countless prior court cases would have to be overturned and an avalanche of new lawsuits against Monsanto may have bankrupted the company. The federal government and Monsanto are so deeply intertwined that we expect the USDA's EIS, which they expect to finish by next Spring, to allow planting of the contaminating GMO alfalfa. This is a most evil company that does not have our health at heart. Thankyou for your efforts. OMG that last picture is awful. That one should be spread around! "(NaturalNews) Asheville, N.C.-based Sow True Seed, a seed company that offers non-GMO, non-hybrid, and open-pollinated varieties of heirloom, organic, and traditional seeds, has joined a class-action lawsuit against biotechnology giant Monsanto that seeks protection for farmers against predatory patent lawsuits. On January 31, 2012, Federal Court Judge Naomi Buchwald from the Southern District of New York held a preliminary hearing of the case to decide if it will move forward, which was joined by hundreds of supporters who held a rally in Foley Square located just across the street from the Manhattan courthouse." "Monsanto has a monopoly over crops and over seed. And currently as the law exists, Monsanto can actually sue family farmers," said Kristen Wartman, co-founder of Occupy Big Food, in a recent documentary short put together by the GRACE Communications Foundation. "If their seed, which is genetically-modified, and if the pollen from that seed drifts on the family farmers' crops, and then pollinates their seed, Monsanto can then go ahead and sue these family farmers for patent infringement. So this (lawsuit) is just basically so family farmers can protect their own livelihood and their own crops from Monsanto." JUST SAY NOT TO GMO!!! The United States is threatening nations who oppose Monsanto’s genetically modified (GM) crops withmilitary-style trade wars, according to information obtained and released by the organization WikiLeaks. Nations like France, which have moved to ban one of Monsanto’s GM corn varieties, were requested to be ‘penalized’ by the United States for opposing Monsanto and genetically modified foods. The information reveals just how deep Monsanto’s roots have penetrated key positions within the United States government, with the cables reporting that many U.S. diplomats work directly for Monsanto. The ambassador plainly calls for ‘target retaliation’ against nations who are against using Monsanto’s genetically modified corn, admittedly linked to organ damage and environmental devastation. Amazingly, this is not an isolated case. In similar newly released cables, United States diplomats are found to have pushed GMO crops as a strategic government and commercial imperative. Furthermore, the U.S. specifically targeted advisers to the pope, due to the fact that many Catholic bishops and figureheads have openly denounced GMO crops. In fact, the Vatican has openly declared Monsanto’s GMO crops as a ‘new form of slavery’. “A Martino deputy told us recently that the cardinal had co-operated with embassy Vatican on biotech over the past two years in part to compensate for his vocal disapproval of the Iraq war and its aftermath – to keep relations with the USG [uS government] smooth. According to our source, Martino no longer feels the need to take this approach,” says the cable. Monsanto has undoubtedly infiltrated the United States government in order to push their health-endangering agenda, and this has been known long before the release of these WikiLeaks cables. The U.S. is the only place where Monsanto’s synthetic hormone Posilac is still used in roughly 1/3 of all cows, with 27 nations banning the substance over legitimate health concerns. Despite Monsanto’s best attempts at incognito political corruption, nothing can stop the grassroots anti-Monsanto movement that is taking over cities and nations alike.